Welcome to the iFreeSlots.com Beta where you can play free casino slot games and win real money at online casinos. At iFreeSlots.com you are given unlimited free credits to play our online slot games. You may replenish the initial amount of your credits by refreshing your browser or by choosing another slot game on this site. Make sure to register if you would like to be notified of new online slots and be eligible for our monthly drawing. The winner of our $500 USD monthly prize is randomly selected from the pool of registered players. Play free slots and maybe even win the real money prize of $500 USD. There is no limit to the amount of online slots you can play at ifreeslots.com. Please be aware that credits won on any of the free slots games have NO Cash Value. In order to be eligible for the monthly random drawing, you will first need to register. Please make sure to use an email that you use frequently, because we will notify our winners using the email they provide during registration. Please familiarize yourself with the rules of the drawing which we provide on this site. 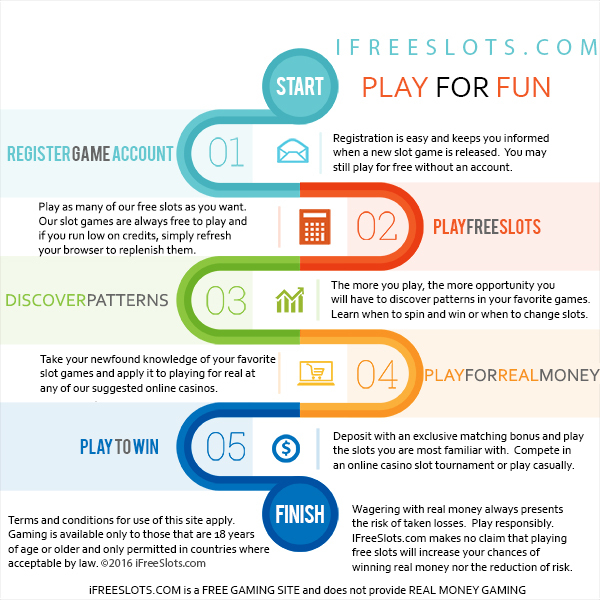 Some of the information provided on our site about slot games appearing on iFreeSlots.com are borrowed with permission by Online Casinos Guide. If you’re looking for free slots for fun, this is a very engaging one. 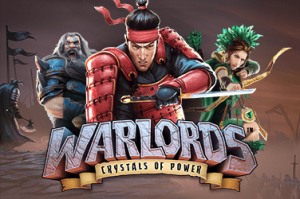 Warlords - Crystals of Power features 3 different rulers; The Barbarian, The Priestess, and The Samurai. The Warlords battle to defeat each other across 30 lines, 5 reels, and 3 rows. The 3 Warlords represent the scatter symbols. The game is triggered upon getting different scatter symbols, activating the battle between Warlords.The video slot game features free spins, wild substitutions, stacked symbols, scatter symbols, a final chance feature, and more. The game is set in an ancient world where these powerful, glowing crystals are treasures to behold. Try your hand at spinning the free slots and see if you get any of the three wild features. Win as much as you can over a backdrop that features men of war, armed with their battle axes. Experience high touch animal graphics that only make the game more thrilling like the vicious wolf, a keen black panther, an ancient mask featuring a glistening crystal, and more. Go for the Big Win and get three matching symbols in any row. You could be lucky enough to score a Mega Win or a Super Mega Win. Collect as many scatter symbols as you can. You’ll know these waving flag scatter symbols when you see them.Decide which Warlord you will be! Listen to the music of the tropical islands while adding up as many matching symbols as you can. If luck is on your side, you’ll get clusters of matching symbols for a win. Aloha! Cluster Pays features 6 reels and 5 rows of Hawaiian madness. The game features Sticky Win re-spins, free spins, substitution symbols, and Cluster Pays. 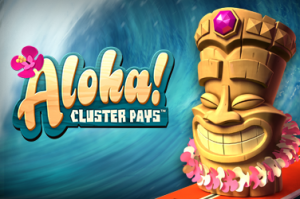 Exciting music and tiki symbols abound on this slot game. This is a calm and relaxing slot game with pineapple symbols, flowers, tiki heads, and seashells. Everything is calm until you begin winning that is. Once you start the snowball of collecting coins, this slot game really heats up. Go for the win in your tiki oasis with a gigantic volcano in the distance. When you get cluster symbols, you’ll know it because they will be set ablaze. If you get a Sticky Win Respin, the tiki torch that was once still will come to life and applaud you. These Sticky Wins let you pull the slot and all of the matching symbols “stick” to your cluster, increasing your coins. Once again, when you hit the jackpot, all of your symbols are set on fire. 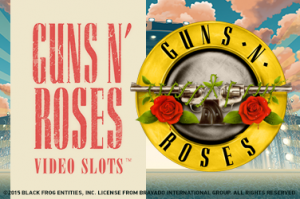 What would a Guns N’ Roses slot game without featuring the tunes of the legendary musicians? Enjoy the classic soundtrack while you rake in as many points as you can. Pick from 5 iconic songs while you play this 3 line, 5 reel slot game. With 20 lines, you’ll have plenty of opportunities to win. The game features bonus symbols, expanding wilds, wild substitutions, solo multiplier, The Appetite for Destruction Wild, legend spins, encore free spins, and a crowd pleaser bonus game. This is probably one of the most exciting free slots games created. If you enjoy the sounds and imagery of Guns N’ Roses, this is definitely the slot game for you. Enter the jungle and see how much you can win. Of course the slot symbols are none other than the infamous faces of Axl Rose, Slash, the band logo, and guitar picks featuring news clips of the band. See if you can get the random multiplier with the power to increase your winnings by 10. Wild symbols and bonus symbols will randomly come up in these free slots that roll at fantastic speeds. Your Big Win and Super Mega Win will rewards you with major coinage and classic footage of the band. The Multi-Award Bonus Wheel is quite fun, it’s in the shape of a record player. Your prize will depend on where the needle lands. This is the car slot game for the seeker of virtual racing experiences. This high octane, 3 line, 5 reel game is sure to get your blood pumping. Enjoy the thrill of the win through multiplier wilds, nitro collect meter, and free spins with 3 levels. If you like to keep the betting adrenaline high, you’ll love the fact that you can make a 120x bet. This is a straight to the point slot game that lets you make high stakes and raise them even higher. 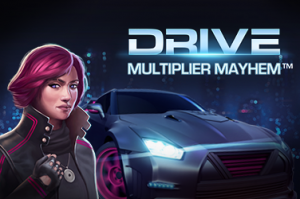 In Drive: Multiplier Mayhem, a pink-haired, leather-bound Jette takes on cigar-smoking Hamaki, among other characters. Other symbols are a large bodyguard type figure and a guy with hoodie and goggles named Twitch. The symbols used are either a character, race car, letter or number. Enjoy scatter symbols and capitalize on them as they randomly appear. The game will immediately notify you of any free spins you’ve won and the amount of nitro symbols you need to collect to race again. Monitor your nitro collect meter and keep those spins coming. Speed off into the dark horizon and take your chances at spinning the reels for your big win. Behold the Secrets of Atlantis. Plunge into the underwater world of mythical creatures to see what treasures can be found. With 4 rows, 5 reels, and 40 lines, you know there is buried treasure to be found by taking a few spins on this slot machine. The graphics feature 2 vibrantly colored mermaids flanking either side of the slots. 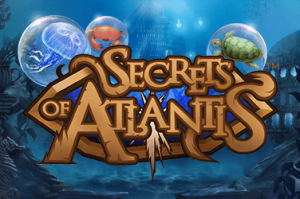 Secrets of Atlantis is a free slot game features like win both ways, colossal symbols respins, nudge wilds, and a highlight feature. How much can you rake in from this mysterious, aquatic world? You can always count on free slots machines with no download on any device. These free slots have a seascape view with symbols of crystals encased in gold, mermaids, jellyfish, crabs, tortoises, and open clam shells with a pearl. Choose your coin value and make your bet as with any other slot machine. Any winning combinations you come up with will be highlighted as a grid that shows the combo. When you hit the big win, you get a golden mermaid and of course, plenty of coins. The mermaid also serves as the wild symbol. There’s no limit to how much you can win. Plus, the mystique of the underwater pyramid in the background makes great scenery. Take command of the sea with pirates on this free slots game. This is a brand new free slot game with 243 different betting options. The maximum bet you can make is €62.50 and the maximum amount you can win is €45,750. Enjoy your stay on the pirate ship and collect as many winnings as you can. View stimulating graphics of the sailing the seven seas in 3D. There are many bonuses for the taking in this universe of pirates. Get all the booty with pirates on this free slots no download game. Maps drawn by hand and instruments of navigation are in the background, behind 5 reels and 20 paylines. It’s amazing how much you can learn from free slots for fun. A 3D pirate dressed in full garb helps oversee your adventures from the sidelines. You can customize the game to a certain degree by using the command buttons on the bottom of the screen. Clicking on the accordion spins the reels and sets you off on your journey. There are a series of numbered coins flanking both sides of the screen and you can use those to spin the reels also. In this slot game you might get a winning combination, but it must be on an activated payline for you to cash in. As always, you increase the risk the more you wage but that also helps you win more! If you love the land of wizardry, try the magic portals slot. Wizards, warlocks, and magic come to life on this 5 reel, 3 row slot game. So why does the free slot game have this name? Two magic portals become active and emerge on the slot reels, changing winning combinations into free spins and wild symbols. This can happen each and every time you spin, so you’ll never know when to expect the magic change. You can win up to 64,000 coins. The symbols are mystic wolves, horned dragons, fire, snowflakes, and wizards. Enter the realm of the sorcerer across 25 different betting lines. This is for sure among one of the best free slots games. Expect to see gazing balls, plasma balls, and crystal balls. Neon graphics and vivid imagery take you into the perfect fantasy fiction world. See if you’re lucky enough to get the red sorceress, which pays the highest. The next highest paying symbols are the green wizard and the blue sorceress. The combination of Wilds and magic portals create more payouts for you. Keep your eye on the first and fifth reel, which is where the magic portal is likely to appear. If you get two free spins in a magic portal, it converts into 10 free spins. Mega Fortune has free slots for fun. Play for the largest jackpot around that you have the chance of winning. This is one of many free slots games that is played across 5 reels and 25 bet lines. This luxurious slot game offers a huge jackpot valued at €4,000,000. There are three bonus wheel symbols that activate the jackpot, so hope that you get one of those. Spinning this wheel of fortune, you’ll either get coins or a jackpot. You can multiply your winnings up to 5x on Mega Fortune. If you want to play free slots that have record-breaking jackpots, you’ve found it. One of the biggest winners of this slot game was crowned with €17.8 million and was recorded in the Guinness Book of World Records. Mega Fortune is played across three rows and five reels with 25 betting options. You’ll get free spins out of nowhere and you may even get lucky enough to get the triple jackpot bonus game. Each time people play the game, they add more money to the jackpot, making it a progressive slot game. There’s a bonus game available if you trigger it by getting three bonus symbols. There are three jackpots; the Mega Jackpot, Rapid Jackpot, and Major Jackpot. Take your spin at the wheel and you just might be Mega Fortune’s next millionaire. Three muses of Greek mythology lead you through the game. Play free slots with three different wild features; Sticky Wild, Expanding Wild, and 2x Wild. Enjoy the scenery of Ancient Greece in this 3 row, 5 reel, 25 line game. Take your chances and see if you can get the highest win combination. Sticky Wilds are just what they sound like and when they touch other wilds, they stick. You can get 10 free spins from getting 3 scatter symbols, while 4 scatters gets you 20 free spins. You can even get 30 free spins from 5 scatters. Getting several Sticky 2x Wilds allows you to multiply your winnings up to 8 times. If you get a single Sticky 2x Wild, then as the name indicates, your winnings are multiplied by 2. There are 10 different betting levels and 6 different coin values. The pay table indicates how much each symbol is worth. Choose to have the settings any way that you like them. There is even an autoplay feature, so you don’t have to click spin each time. For symbols, expect to see a winged sandal, writing scroll & quill, artist palette, grapes, and wine. 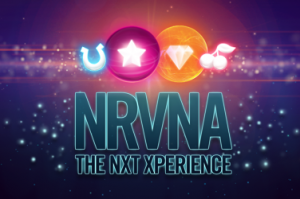 Play free slots with Nrvna for the spaced out experience. It’s played across 5 reels with 30 bet lines. Plus, there is a 3x multiplier on your wins. The Nrvna Wheel offers you a 10x multiplier and you might be able to get free spins. Travel into aetheric space and collect as many winnings as you can. These free slots have a spiritual theme and theatrical music. The RTP on this game is 96.6%, making your chances of cashing in pretty good. For a free slots game that's easy and gives you a great chance of winning, this is hard to beat. Set your coin value and get familiar with the icons. Use the autoplay feature on this free slots game to get the reel to spin 10, 25, 50 or even 100 times. All you need to do is get three or more symbols in order to qualify for a win. Crystal-like objects fall onto the grid that is the slot machine. This is truly a laid back and relaxing slot game that you’ll no doubt have fun with. It’s a peaceful slot game, but you can still win 966,00 coins in a single spin. For symbols, expect to see fruit, numbers, and letters. Try your hand, you may be surprised at the unexpected winnings you’ll collect.